Ladislav Matejka (ed. ), Sound, sign and meaning. 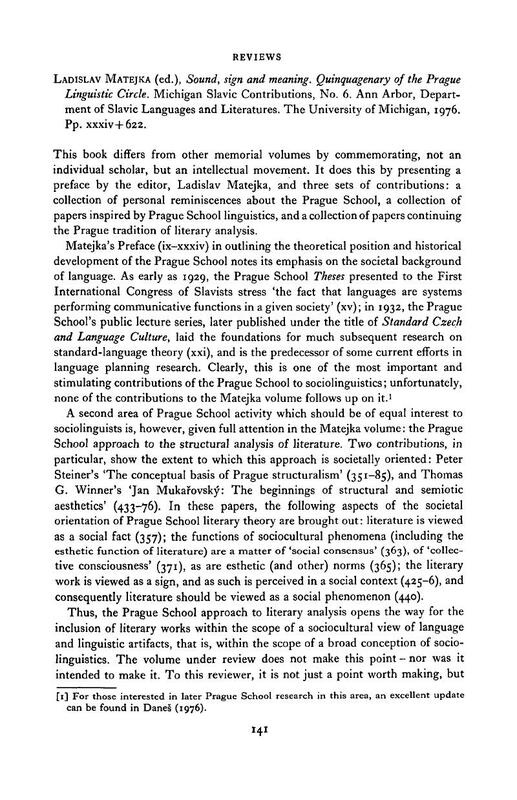 Quinquagenary of the Prague Linguistic Circle. Michigan Slavic Contributions, No. 6. Ann Arbor, Department of Slavic Languages and Literatures. The University of Michigan, 1976. Pp. xxxiv + 622. Daneš, F. (1976). Values and attitudes in language standardization. Južnoslovenski filolog (Beograd), 32. 1–27.